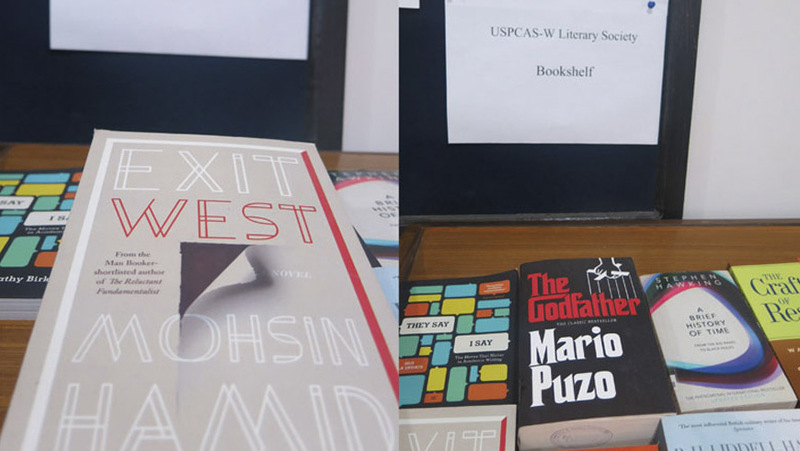 The literary society of U.S.-Pakistan Center for Advanced Studies in Water (USPCAS-W) Mehran University of Engineering and Technology (MUET) established bookshelf at Canteen of the Center for general reading to promote reading habits among the students. On this occasion, Prof. Dr. Bakhshal Lashari, the project director of the Center inaugurated the bookshelf on Monday. 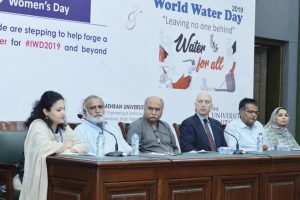 Speaking to the inaugural gathering, Dr. Lashari said that reading books is one of the most significant habits and the students of the Center apart from their coursework may spend their quality time by reading books from the shelf. He said that a few more similar type bookshelves would also be installed in different lobbies of the center as to benefit the students for their general reading wherever they sit and read. “If you read more, you learn more and if you learn more, you achieve more”, he added. On this occasion, Mr. Imran Khan, the student president of USPCAS-W Literacy Society briefed about the aims and objectives of the society and also benefits of the bookshelves. He said by establishing such bookshelves; the society will promote the book reading culture and provide the platform to students to interact the fellow book lovers. 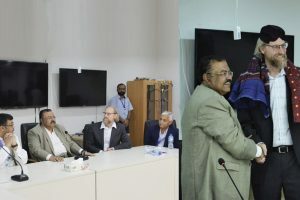 He also thanked the management of the Center for the support in organizing such literacy activities. 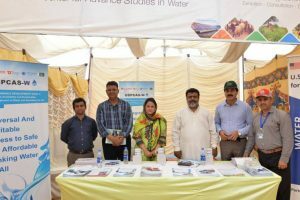 Mr. Muhammad Arfan, President of Society of Water Managers (SWM), Mr. Mohammad Ali, Academic Coordinator, Mr. M. Shahid Panhwar, Monitoring, and Evaluation Specialist also spoke on occasion. The students, faculty, and staff of the center attended the bookshelf inaugural ceremony and vowed to contribute their books of general reading to this great cause of learning and achieving. Mr. Imran Khan himself initially contributed 20 books to the shelf including The Alchemist, The Kite Runner, Exist West, A brief history of time, The Godfather, etc.